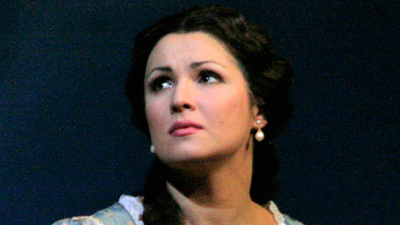 Few sopranos have tackled the extraordinarily difficult role of Elvira in Bellini’s last opera at the Met. In this remarkable performance, the great Edita Gruberova sails through the vocal challenges, pulling off her trademark coloratura stunts and caressing Bellini’s long, languid phrases with equal ease. She creates a poignant, very human portrait of a young woman who goes insane when she loses the man she loves, only to be restored when he returns. Chris Merritt is Arturo, the object of her affection.